If you work in an office, then you know the importance of having a solid conference room. Whether it be where you eat lunch, take meetings or have your most powerful brainstorming sessions, I think we can all agree that having a conference room with *good vibes* is important. After all, a welcoming meeting space can promote productivity, leave a strong impression on potential clients and become a central office hub! 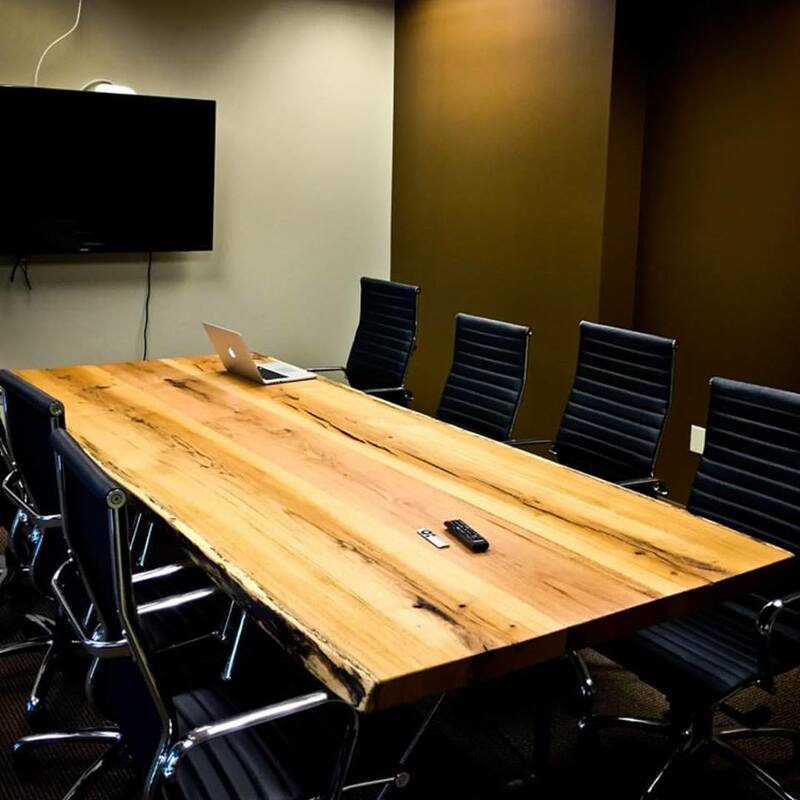 (Aka where all the cool kids in the office hang out) So, it’s important to make sure that at the center of your conference room is a table that fits all your needs. So, if you are looking for a unique table for your conference room, you’ve come to the right place! 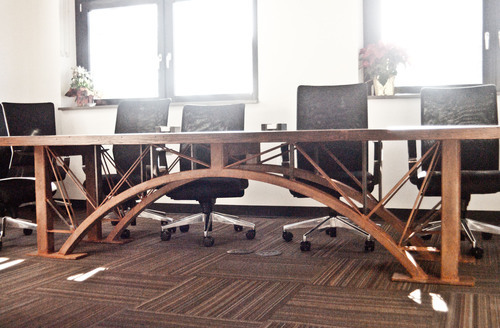 We make tables in all sizes, and over the years have made conference room tables in a variety of styles. 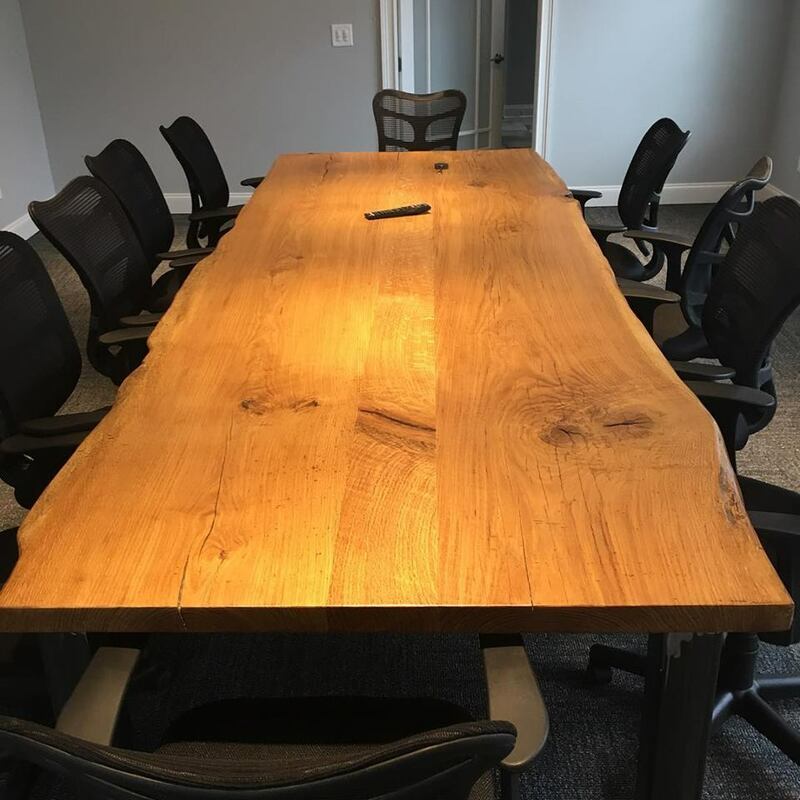 We want to make sure the table you bring into your office is not only built to meet your exact specifications, but is also durable and one-of-a-kind. Customers have the ability to choose the color, species, leg system, data port placement and more. 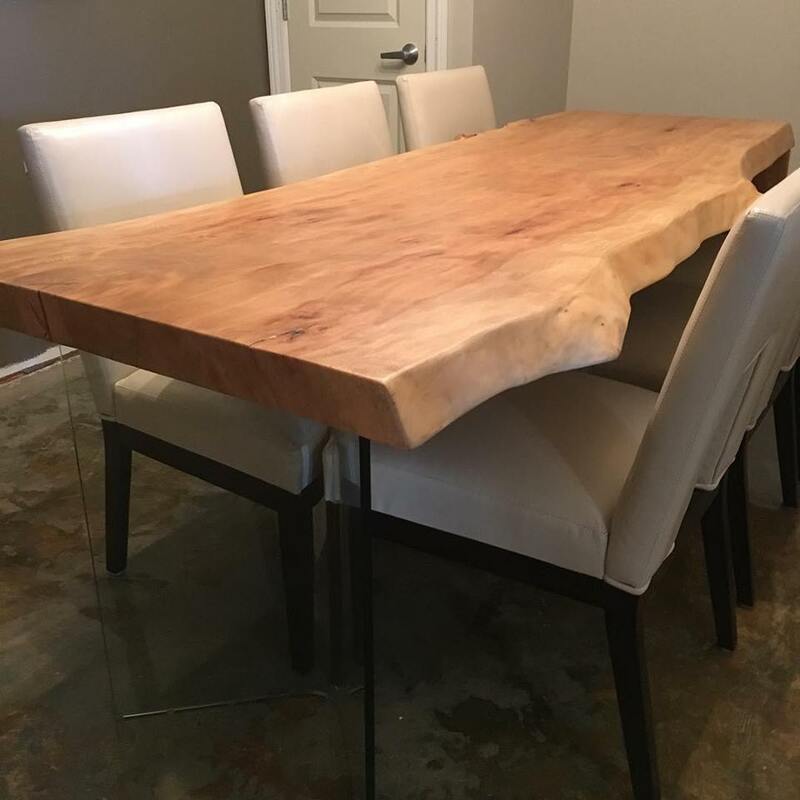 The tables above were made out of reclaimed beams/barn material, while the following four tables were made with live edge slabs (learn more about live edge here). Keep in mind, that any time you bring a piece of our work into your home or office, you are preserving a little slice of history. Each piece of of lumber on our yard is unique and we love being able to give a second life through our customers’ homes and offices. To view more our custom tables, head over to our furniture page. If you have any questions, or if you’re interested in incorporating reclaimed wood, give us a shout!